Fluke have introduced a new 8.5-digit multimeter, the 8558A. SXRTO?? 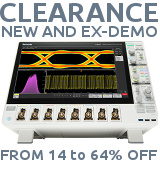 Sampler Extended Real-Time Oscilloscope!